As you are probably familiar by now, inducing people into your sales funnel using inexpensive incentives works. While there are many different techniques to apply when it comes to attracting prospects, tripwire marketing has proven to be one of the most efficient. Why? Because people love cheap things. Now, let’s add the element of education to that story. 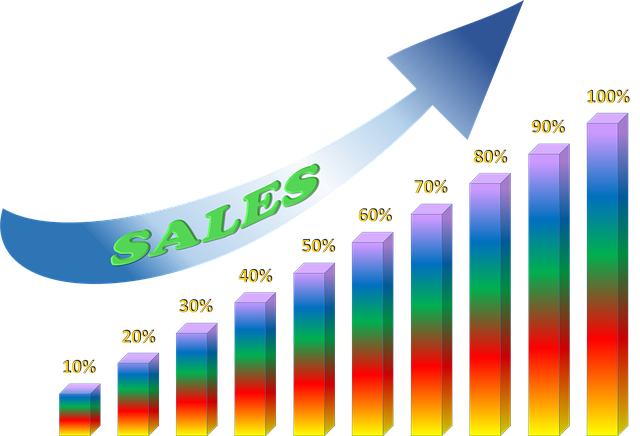 As every successful businessperson knows, today´s marketing is no longer about aggressive advertising and sales pitches. Quite the contrary, marketing today means engaging customers with informative and educational content and thus subtly attracting them to make a purchase. In other words, people will convert more frequently if they know enough about a product or service and the niche to which they belong. Tripwire already gives you an effective marketing technique, but what you can do to widen its reach is educate your customers while you offer them the products and services that draw them in. Through several examples, this article uncovers some tips you can use to teach your clients while moving them toward a big sale. Let us first consider tripwire marketing and education in isolation from one other, and then see how you can combine the two to enhance your business efforts. Tripwire marketing implies offering your prospects an inexpensive product or service with the aim of getting them to buy more from you later. Simply put, making a cheap offer to prime the pump will get people flowing through your sales funnel toward a profitable upsell. You can also use the tripwire concept to tease customers by giving them access to certain elements of your products and services, and hoping they will want the whole deal, which they often do. With tripwire marketing, you can also offer free stuff. However, tripwire tactics work best when you offer cheap deals because people often regard free offers with suspicion. In any case, when you make offers related to a variety of products or services, you can find out what your market wants to buy. With such information at hand, you can then target precise segments of your audience, resulting in superior conversion rates. As you can see, there are multiple advantages you can obtain by applying the tripwire concept. Now, let’s say a few words about education in marketing. In the 21st century, effective marketing tactics increasingly depend on educating your customers rather than relying on aggressive advertising schemes that worked in the past. Similarly, you can’t depend on the old practice of supplying your audience with web-pages that only present details and specifications about your offer. No, customers need to have a context that helps them understand how your products and services will solve their problems and improve their lives. To effectively use education in marketing, you must articulate your message so that customers believe in your offer and your brand. In other words, you need to educate them not only about your product or service but also about why they need it and how it will affect their lives. Educating customers simply means knowing how to express the belief in your own products, and today it is easier to present that belief more than ever. Just think about how large amounts of information are readily available to everyone with an Internet connection. The rise of the Internet and communication technologies has also enabled us to merge education and technology. In other words, if you want to educate your customers without spending a lot of time and money, consider various resources that the Internet provides. 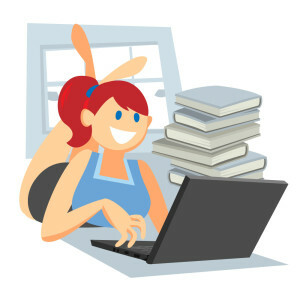 For example, you can write informative how-to articles and post them on your blog. You can record a video, post it on your website, and promote it on your social media channels. Consider organizing a webinar in which you will talk about a topic related to your niche. Maybe you can answer niche-related questions on Quora or some other similar platform. The possibilities for creating valuable content are numerous, and the point is clear – use technology to educate your customers fast and efficiently. The following example will help you understand how to use today´s technology to supply your targets with educational information. Suppose John shops for a mobile phone and has narrowed his product search to two excellent brands. Of course, he searches online to help himself make a god buying decision and visits both companies’ websites. The company A has a website that lists available phones along with their specifications and prices. However, the Company B has a blog with a separate article for each of their phones giving in-depth descriptions. The company also has tutorials posted to Facebook that provide a visual demonstration of each phone. As you are guessing, John will most likely buy from the Company B because of the way they educated him. In general, informed customers will usually go down the sales funnel of the company that teaches them what they need to know. Educating your prospects and customers is a worthwhile activity, and so is mastering tripwire marketing. However, these two activities needn’t be separate and isolated from one another – you can educate people while offering free or cheap stuff as lead magnets. Simply put, you can combine your tripwire offers with educational materials to increase the efficacy of your marketing efforts. Not only will such an approach improve the conversion rates of your leads, it will also distinguish your brand from your competitors. When you provide learning opportunities along with cheap deals, you will see your sale rise. 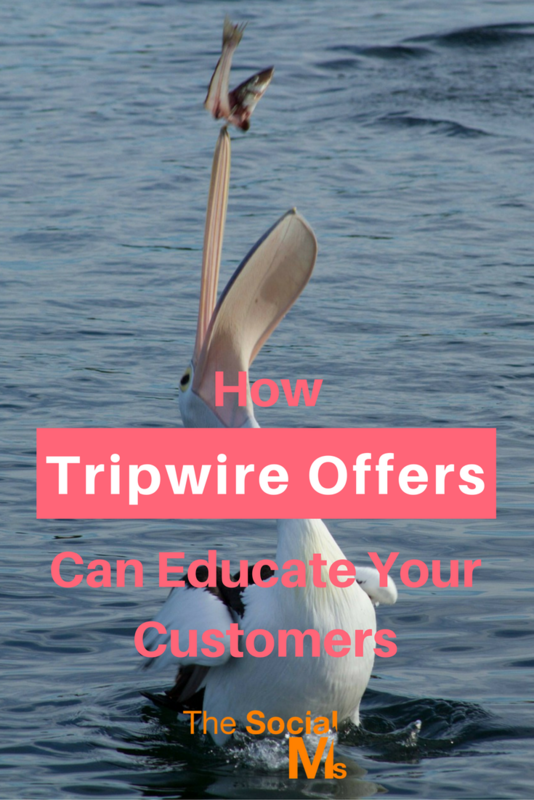 Now that we’ve considered all the theory, let’s see how you can leverage your tripwire offers to educate your customers and increase the chances of them buying more from you. 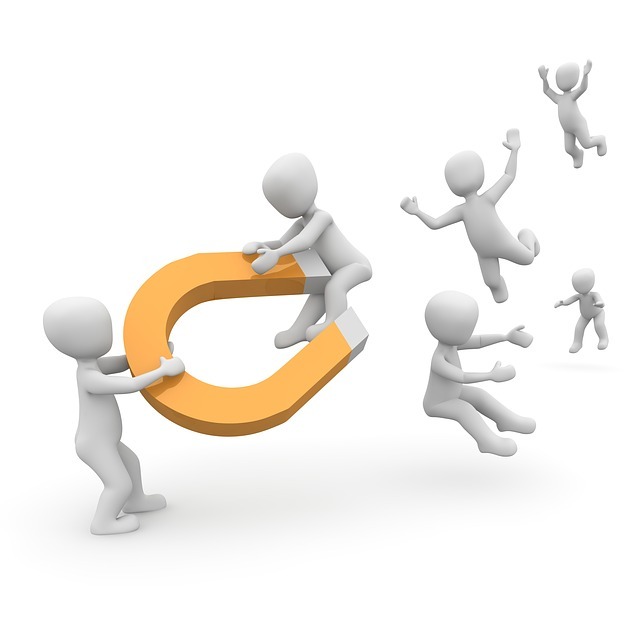 Here are several examples of educational lead magnets. 1) Imagine yourself as an owner of a digital marketing agency. One of your offers includes running social media campaigns for your clients. So, what could you do to hook your prospects? 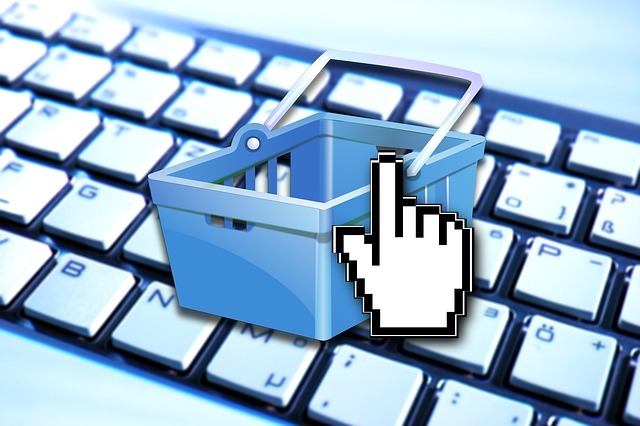 For example, you could offer a very cheap e-book called, “All There is to Know about Social Media Campaigns.” When your customers get to the checkout, you could upsell by presenting them with “The Last Digital Marketing Guide You’ll Ever Need.” The second product contains much more information and covers content marketing and SEO as well as social media. 2) In this example, you own a hair salon. As a hairdresser, you could use social media to entice people to visit your salon to buy a particular hair product for one dollar. Additionally, you could share a blog post that extols the benefits of the hair product as the educational component of your offer. As customers arrive to buy the cheap product they’ve been informed about, they will likely decide to stay to get a haircut. You could also pass out DVDs demonstrating good hair care practices together with the lead magnet, and your customers will most likely return to your salon. 3) Supposing you own an agency that offers translation services, you could offer everyone a low-cost small-document translation to attract leads. When supplying customers with the finished product, you could also include an article about ways to correctly use grammar. Customers would appreciate both the low-cost deal and the surprise educational gift and return to your firm for future translations. 4) Let’s say you own a sportswear store. You could promote sales at your store by creating an e-book detailing the health-related benefits of running and make it available on your website for a low price. You could also publish an educational video on running and include runners who wear sneakers that your store sells. Your educational materials give your leads incentives to buy their sports apparel from your store rather than from a competing outlet. So, what can we learn from these examples? Firstly, educational marketing and tripwire marketing needn’t be separate activities. You don’t have to wait to upsell in order to educate people and thus attract them to buy your products – you can do it while making your tripwire offer. Secondly, it doesn’t matter whether you sell products or services. The examples number 1 and 3 show how you can make educational tripwire offers if you provide services, whereas examples number 2 and 4 show the same for selling products. It´s only up to you to get inspired by these examples and create your own attractive offers. 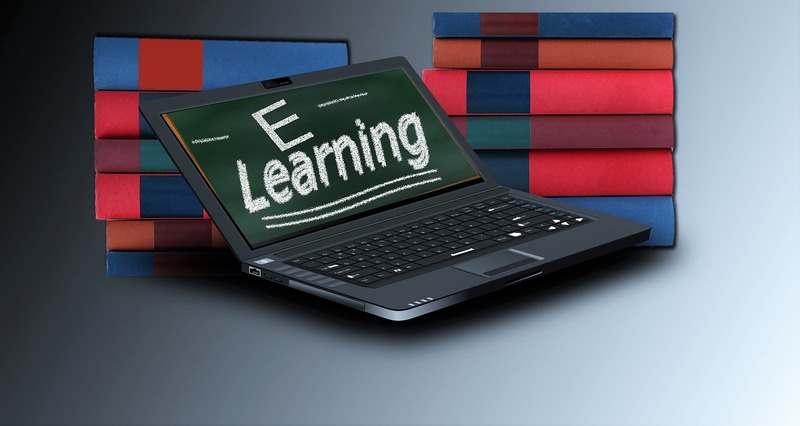 When you combine education with tripwire marketing, you inevitably increase your sales. Regardless of whether you operate a traditional or online business, you can use cheap offers to attract people and educate them along the way to win the bigger deal. That way, you will more likely draw people into your sales funnel and create more upselling opportunities. Together, tripwires and education will combine to fuel your success, so it’s surely worth giving it a try.